Drifters stood at the top of my list among the present season’s anime, and I wrote as much in the chat of an entertaining conversation hosted by LitaKino. Then, one of my best commentators, David A, pointed out that St. Joan of Arc was portrayed as a crazied pyromaniac in the show and as one of the villains. This counts as the most wholly inaccurate and unflattering representations of a saint I have heard of since Wolf Hall, a show which portrays St. Thomas More as a corrupt fanatic. I cannot get behind a show which calumniates a saint. At least Joan of Arc’s portrayal in Shingeki no Bahamut—even though it presents a Joan of Arc who falls from grace for a time–still presents a character bearing her name as noble, courageous, and just. Calumniating the memory of the saints and great men counts as one of the blackest crimes a writer can commit. Not only does the calumniator blacken someone’s reputation, but he damages the heritage of new generations. Each generation has a right to have heroes to look up to and emulate. 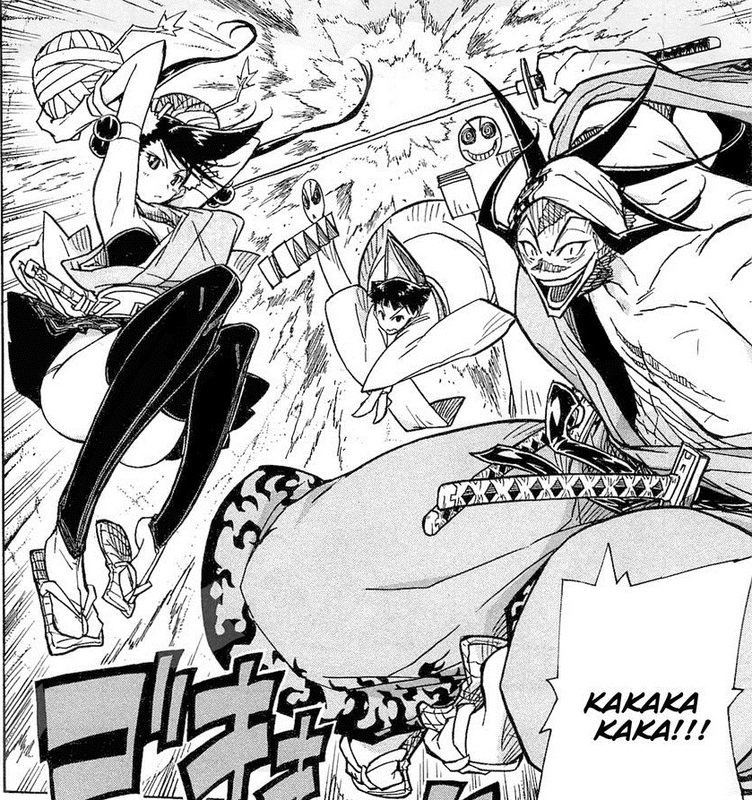 One can claim that Drifters‘ portrayal is mere fiction, but most people get their information about the past from media, especially because schools don’t properly educate the youth on the subject of history. Many people do believe that St. Joan of Arc was insane and delusional. 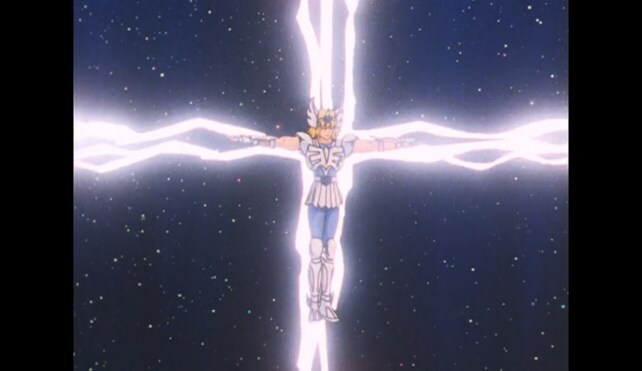 Here’s a link to an article I wrote reflecting about how Christian saints differ from the saints of Saint Seiya, aka the Knights of the Zodiac, which is a fun series to watch. This is the second part of the narrative of my pilgrimage to the relics of St. Maria Goretti, and it looks like it will be the penultimate rather than the ultimate post. 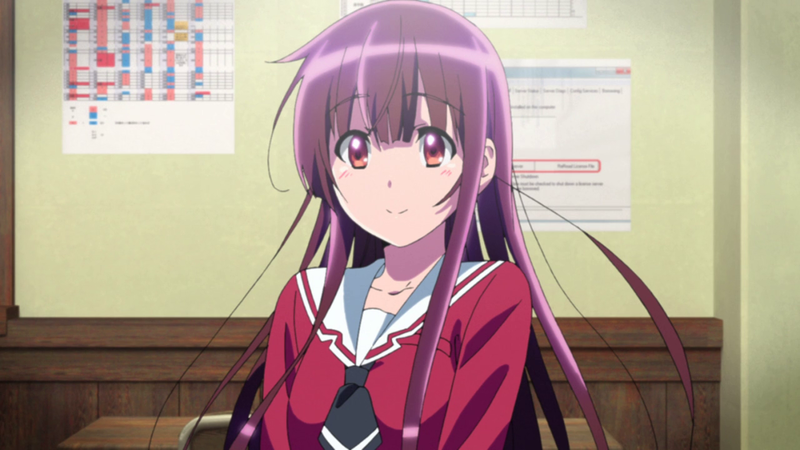 I know that many of my dear reader are more interested in anime than my religious opinions and experiences, of which the beginning of this month has been replete. So, I promise to double post tomorrow: the last of this series and then a post on Beautiful Bones – Sakurako’s Investigation, Utawarerumono (the original series), or Heavy Object. No other incidents worthy of note took place until I reached St. Monica’s Church in Duluth. The complaints of my belly had made me half an hour late to the Mass, but not late enough to miss the homily. That the Church parking lot was full and that I needed to park in some overflow parking pleased me, as I was wondering how many American Catholics would be interested in venerating a saint’s relics–a practice which probably strikes many as medieval. Since the main part of the Church was packed, I was ushered into a conference room, in which the mass was broadcast on a large TV screen. (This stands as the one way watching Mass on TV counts as participation in it.) To my surprise, many of the Catholics attending were Asians, Africans, and Hispanics, making me a minority–something I had not expected. After my brief reflection on the diversity of the body of Christ, I turned my attention to the missionary priest offering the homily. Several facts about St. Maria Goretti which the priest unveiled surprised me. 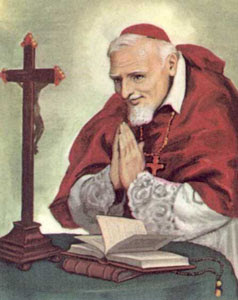 For example, America’s people had been greatly involved with the saint and her hometown: three of her siblings came to live in America, her prayers were asked in interceding for the Americans to break out of the Anzio Death Trap during WWII (which area contains the second largest cemetery of American soldiers in Europe), the American soldiers taught the residents of her town baseball which they love more than soccer now, and the American Archbishop of New York, Cardinal Francis Spellman, led the campaign to have St. Maria Goretti’s residence in Nettuno renovated in 1953. And so, the padre referred to the saint as a very American saint. Sort of how one may view St. Padre Pio as a very American saint in his solicitude for American soldiers during WWII and even the Americans who visited his monastery afterwards. But, Italy has so many saints that they can spare some for other countries. Happy Feast of the Guardian Angels! How blessed we are that God has given us each a guardian angel who never leaves us for one moment–even when our actions displease our angel. And no, our guardian angels don’t leave us when we grow up, as if we should need less help against the forces of evil the further along our road to holiness. So, take a moment to thank God for your guardian angel, and thank your angel for all the help and graces God has seen fit to convey you through this angel. In today’s materialistic world, such a feast strikes many as superstitious. Anything touching upon the supernatural, whether souls, ghosts, miracles, the saints, the sacraments, or even God, is usually treated with distrust or contempt. Sometimes, these responses are quite healthy. After all, even though the Church herself approves certain events as miracles, she only requires us to believe the miracles of Scripture as articles of faith. I am reminded of a Father Brown story where our hero is presumed dead and then rises back to life in the midst of his own funeral. As the people rejoice over a miracle, Father Brown declares that miracles are not so cheap. Hurrying to a phone, Father Brown rapidly explains to his bishop how a criminal drugged him so that he would appear dead and awaken during his funeral. 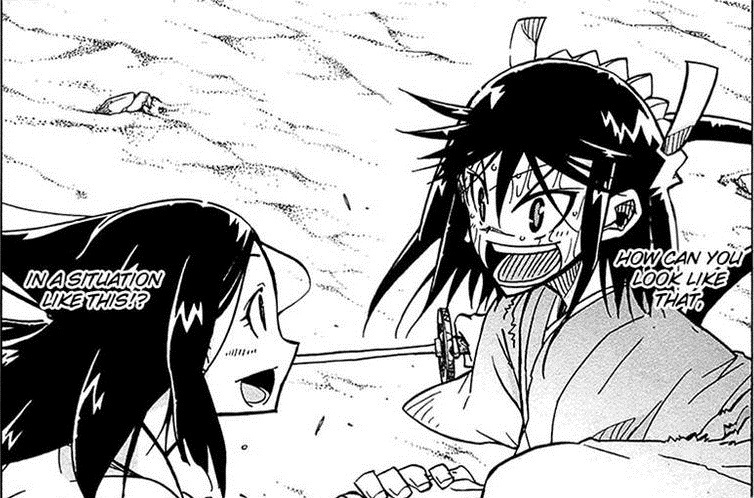 The more I read the Mushibugyo manga and watch the anime based on it the more fond of it I become. 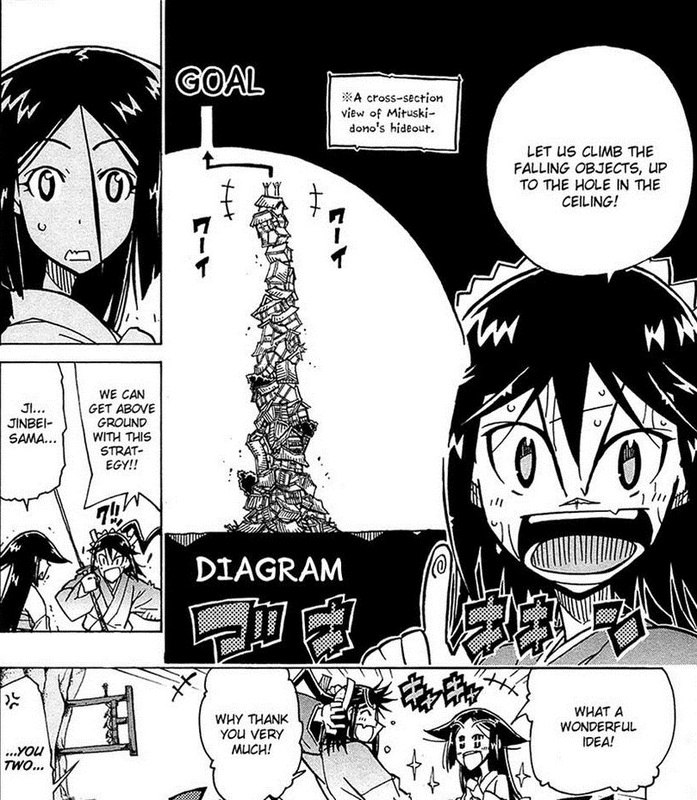 One of its greatest moments occurs in chapter 33 of the manga–covered within episode 8 of the anime. Our hero, Jinbee, discovers that Mitsuki has abducted Haru, his love interest, in order to draw him into a trap. 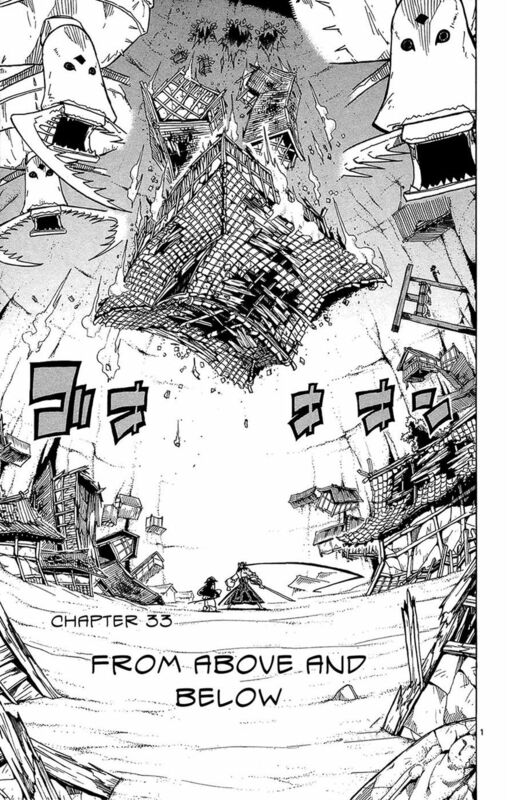 Once Mitsuki has him inside a cavern crawling with giant bugs and lined with debris and buildings from a destroyed village, Haru finds a way to escape her bounds. But, Mitsuki still intends to crush both of them by bringing down the house on them–literally dropping houses from the cavern’s ceiling! Rather than lament his predicament, Jinbee quickly hits upon the plan of using the houses as a means to ascend to the top and escape! Not only does he not utter a single lamentation for his situation, but he even excuses Mitsuki of any wrongdoing–claiming that she must be being manipulated somehow! How many lessons this short chapter holds for a Christian! Those of you familiar with the series know that Jinbee and Haru are not the sharpest knives in the drawer, but their very simplicity allows them to act without hesitation. Curiously, intelligence can actually produce barriers to right action. Dostoyevsky’s underground man states that a truly intelligent man would never do anything. A man of action must be stupid. Why? The intelligent man tends to overanalyze and complain because their very intelligence allows them to see more difficulties. The knowledge of these difficulties stymies action. In Jinbee’s case, on the other hand, he seizes upon what he considers the best course of action and follows it without hesitation. Some of the best Christian saints were also some of the simplest people. Sure, Christ has need of intelligent people, and the ranks of the Doctors of the Church are filled with them. Also, few religions have placed the same emphasis on learning as Christianity. However, when God needs something done, he often turns to the simplest individuals. Once God showed St. Francis of Assisi a room filled with thousands of swords and spears, and told him that he should win as many swords for God. The next day, St. Francis immediately bought some armor and set about to raise a company of soldiers for the Crusades! Fortunately, another dream that evening described that St. Francis would be responsible for raising spiritual warriors rather than Crusaders to the Holy Land. Like the good and single-hearted man St. Francis was, he returned to Assisi and set about creating the foundations for the Order of Friars Minor. Neither St. Francis nor Jinbee allowed the struggles to daunt them from achieving their purpose. Haru also immediately consents to the plan of house climbing. If we take houses to symbolize temptations and difficulties, should not their ascent indicate walking the royal road to paradise? Temptations and obstacles ought to be met with cheer because overcoming them causes growth and sanctification. God permits temptations and obstacles in our lives so that we can triumph over them. As much as it may appear to the contrary, God would never permit temptations so great that we could never overcome them. We have no reason to be angry with God for the difficulties in our lives–though God is understanding of our frustration. For that matter, we should avoid becoming angry at the people who place stumbling blocks and temptations before us. As Mitsuki sends houses crashing down on him and giant bugs after him, Jinbee claims that she must be being forced against her will. Flabbergasted by these excuses and the cheerful attitude of Haru and Jinbee–they essentially treat the attempts to kill them as a game, she vehemently asserts her malevolence, which produces more resolute denials of her wickedness from Jinbee. In a like fashion, Christians should make excuses for the people that wrong them and remember both that Christ died for that person and that their enemies possess the spark of divinity as creatures made in the image and likeness of God. …for affliction is a treasure, and scarce any man hath enough of it. No man hath afflicion enough, that is not matured and ripened by it, and made fit for God by that affliction…Tribulation is treasure in the nature of it, but it is not current money in the use of it, except we get nearer and nearer our home, heaven, by it. Another may be sick too, and sick to death, and this affliction may lie in his bowels, as gold in a mine, and be of no use to him; but this bell that tells me of his affliction, digs out, and applies that gold to me: if by this consideration of another’s danger, I take mine own into contemplation, and so secure myself, by making my recourse to my God, who is our only security. But, other people and our own efforts can only help us along so far. Our good deeds and patient suffering increase our merit and fortify our good will, but God Himself must draw us up to heaven as heaven is so far above our deserts. We often sin and must have recourse to God in straightening out our crookedness or indeed even infusing supernatural charity back in our souls after we do a grave wrong. 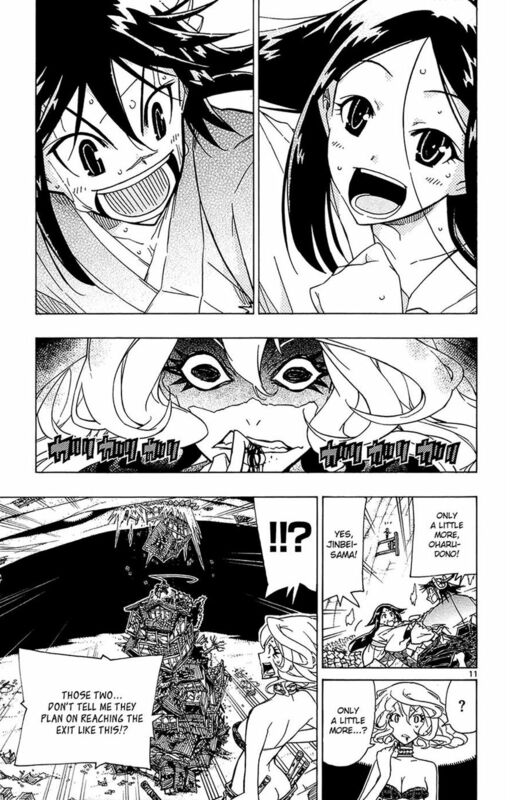 And, we might say that that ever-present need of God’s salvation is symbolized by Jinbee’s associates breaking into that chasm to rescue Jinbee and Haru from Mitsuki, who would surely have killed them had not the warriors of Mushibugyo dropped in at the right time. Sometimes, samurai anime can be remarkably fruitful for contemplation! 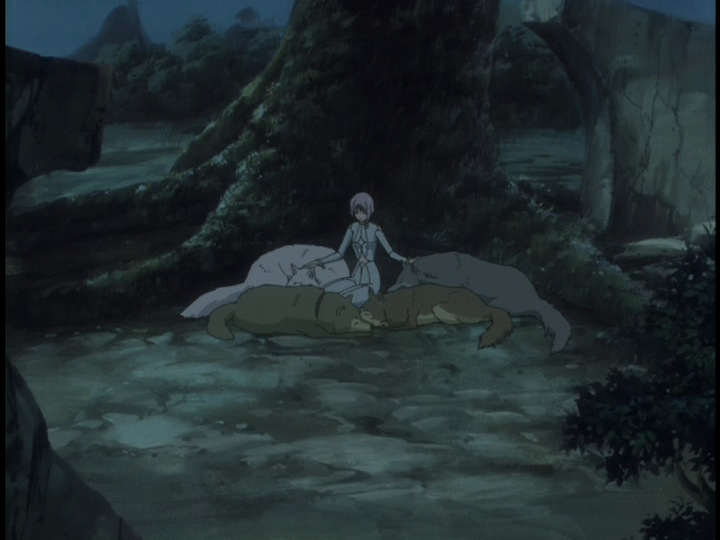 While watching Wolf’s Rain this time, the utter delight Kiba and Cheza had in each other’s company struck me. 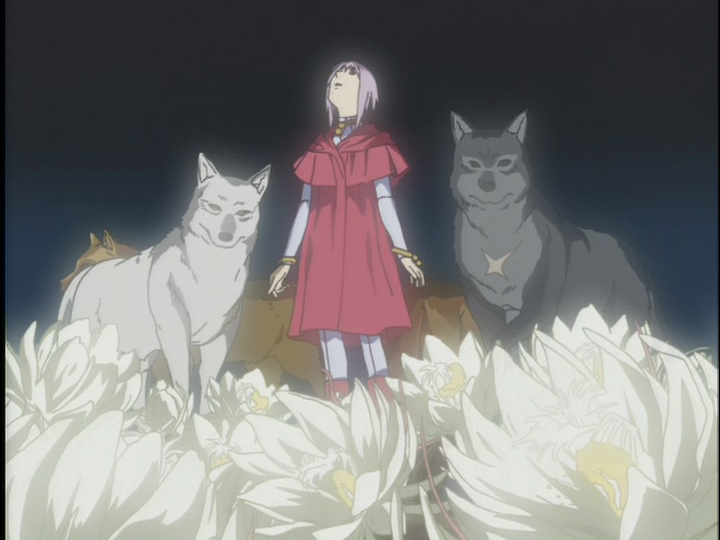 Those of my dear readers familiar with Wolf’s Rain know that this show is essentially a Christian allegory. Though, I must confess to being so obtuse that I actually missed on this obvious connection the first time; but, this only proves how well it works as an allegory: the symbolism works such that it falls short of being blatant, which marks a perfect allegory. I wrote “one of this pair” above because I hesitate to name either Kiba or Cheza as definitely Jesus or Mary. If we were to assign them by gender, Kiba would symbolize Jesus and Cheza Mary; yet, Cheza has healing powers, is the one being sought by the pack, and is depicted as if crucified. On the other hand, Kiba needs to save Cheza, is gravely wounded especially toward the end, and is the obvious leader of the pack–despite his unwillingness to be recognized in that role. But this similarity brings out a fine point: the better a believer becomes, the closer he approximates Our Lord. We have the examples of those people who seem so sweet and filled with goodness that we never wish to leave them. Some people approach Christ-likeness so perfectly that they become an image of Him, as in the Orthodox idea that icons of Christ point to the Father as icons of the saints point to Christ. 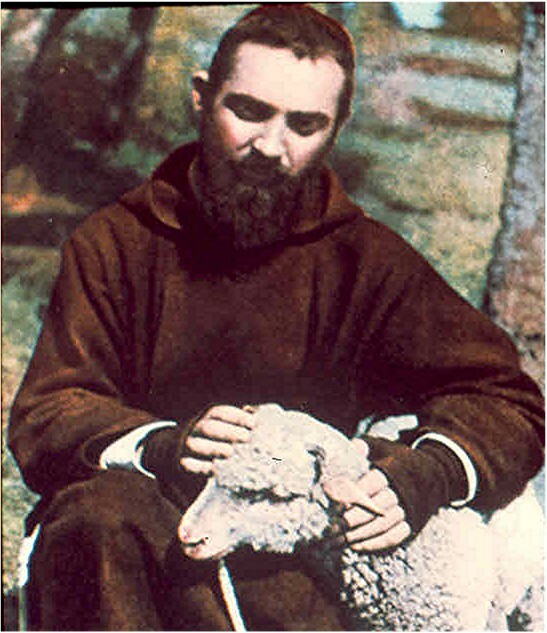 Once when someone saw Padre Pio at prayer, he believed he saw Jesus Christ praying. Also, I remember Louis de Montfort’s claim that it is easier to separate Our Lord from all created beings and things than to separate Him from Mary. This is similar to Kiba and Cheza’s love. When Cheza is present, Kiba is always at her side. When she is absent, she’s all Kiba thinks about. When Cheza thinks about the pack or feels that the wolves are near, Kiba is the first name that comes to her mind. At the end of the series, when everyone else has perished, Kiba and Cheza hold each other in a firm embrace. 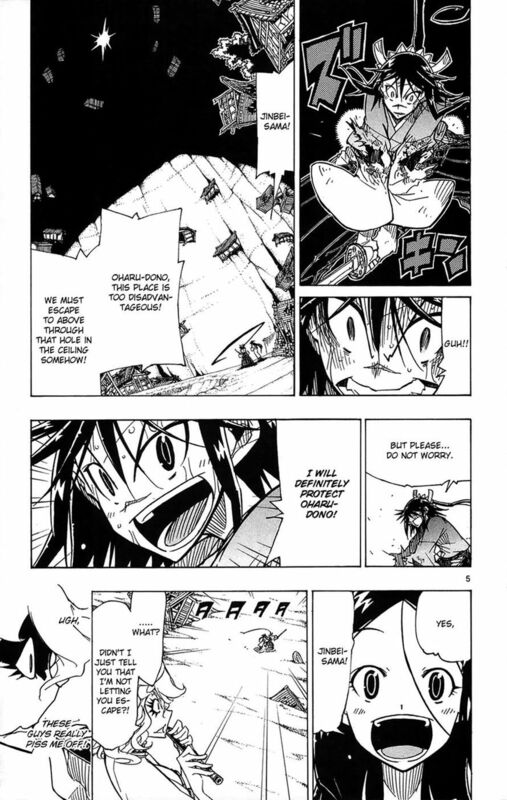 But that last scene reminds me of a symbol of how Christ is united to his Church, which I cannot pass without remarking: the blood pouring from Kiba and Cheza’s wounds changes into water as it flows out into the sea. At Mass, a little water is mingled with the wine before consecration. The water symbolizes the Church, and the mingling with the wine means that Christ is always united with His Church. And this perpetual union I wish for you all. Seeing this show again also makes me wonder whether it would have been better to have ended the show at episode 26 rather than creating another four episodes. After all, the person symbolizing the devil has been destroyed and good victorious. Even though one may say that the show doesn’t seem complete since the wolves haven’t found paradise, do we not experience the same thing in our lives? Christ has conquered sin and death, but we still struggle with living virtuously, and, though we possess the Kingdom (“The Kingdom of God is within you” Luke 17:21), we do not yet enjoy the Beatific Vision. So, what do you think? 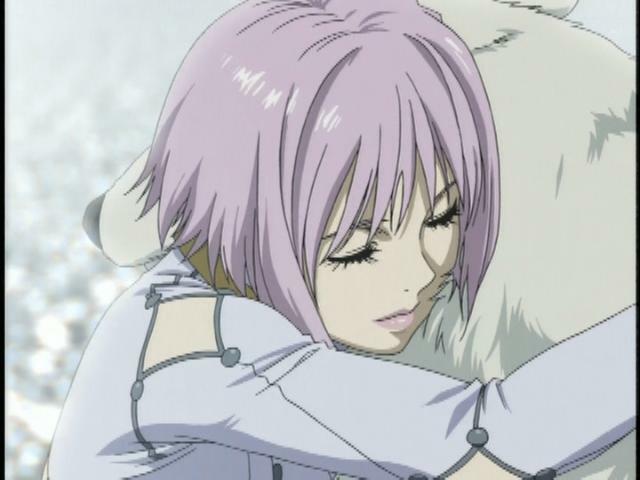 Would it have been better to have ended Wolf’s Rain at episode 26 or does the addition of four more episodes make for a superior ending? A sense of inadequacy comes over me each time I attempt to write the next article on prayer. Either too many important things are left unsaid or I ramble about trifles. My ineptitude has convinced me not to go forward with that series of articles lest I warp someone’s mind. At least the article on prayer’s necessity was posted, because praying itself is the most important thing we can do. Even if one is making every possible error, God can lead a person who prays to right these faults. But, I do realize that some of my dear readers were waiting for the next three articles. In lieu of them, please accept this little collection of unoriginal maxims and explanations of them from yours truly. Begin in thanksgiving, proceed in contrition, lift your voice in praise, and end in humility. One should always consider one’s littleness when approaching God, our utter reliance on Him, and how great He is. By thanking Him, we acknowledge our reliance on Him. By sorrowing over our sins, we recognize that all the grace He has given us was completely unearned, realize His unfathomable goodness and mercy in pardoning our sins, and understand that He treats us so much better than we deserve. By praise, we offer a fitting, though by no means adequate, return for His goodness and meditate on God’s greatness. By keeping mindful of everything above, we humble ourselves and please God through our efforts to be humble. We draw toward those things about which our minds contemplate. Always thinking about one’s daily life or those good things which we desire cause these things to follow us into our prayers, making prayer difficult or impossible. Striving to consider God as the last end of our work and leisure and avoiding excessive desire for pleasurable goods makes prayer easier. A simple mind speaks many prayers. A complex mind can pray but one word. As noted in the prior maxim, always seeking God makes prayer easy. Such a person may complete devotion after devotion with ease and recollection. (Though, it is generally inadvisable for most people to engage themselves in many devotions. Stick to a few for your daily regimen and perhaps celebrate feast days as they come.) Often, someone who is very busy, bombarded with temptations, or immersing himself in pleasurable goods will find that he can barely pray. In such a state, it is best to unite oneself with the groanings of the Holy Spirit (Romans 8:26) by repeating the word “God” or “Jesus.” (The Catholic Catechism does say that the Holy Name of Jesus is the basis for all prayer.) By constantly repeating this word, all our other concerns or desires fall from the mind until it becomes pure enough to pray at length. In giving St. John the care of His mother, Jesus also made her the Mother of all men, and she, after God Himself, is most solicitous for the salvation of all men. 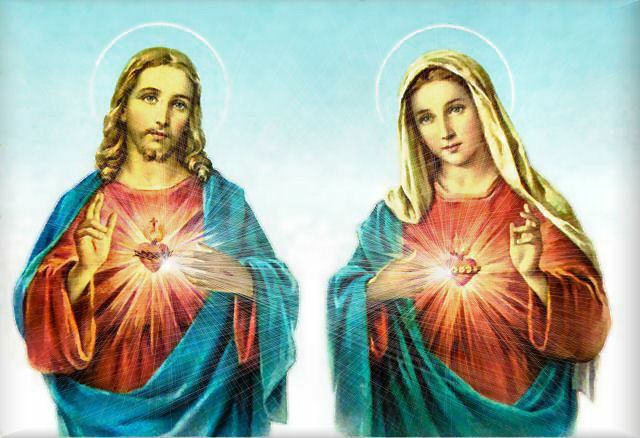 Also, if God especially hears the prayers of good men, how much more will he hear prayers uttered from the Immaculate Heart of Mary which never knew sin? How foolish we would be not to beseech her intercession before the throne of Jesus Christ! The names of St. Mary, St. Joseph, and St. Michael are on the tongues of all. After them follow those who bear our own names, and lastly those whom our personality and experience select. 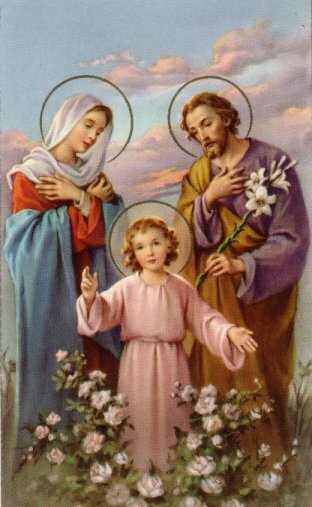 Among the saints, everyone should seek the assistance of St. Mary, St. Joseph, and St. Michael. Then, one will feel closely attached to those who bear their own name. Afterwards, one makes acquaintances among the saints through their spiritual reading and experiences, choosing the ones which most appeal to them. Each person may decide the degree to which they venerate these saints, but short prayers expressing one’s needs are sufficient–especially concerning the virtues one lacks or needs help in perfecting. In spiritual darkness, the friends of God offer lamplight to the soul. God sometimes withdraws his tangible presence from souls in order to purify them through suffering. Even though we live, move, and have our being in Him, it sometimes happens that we find it difficult to perceive God, and our prayer time is completely arid. God will not allow us to suffer beyond what we are capable; however, during this period of darkness, he allows the saints to offer us some consolation. 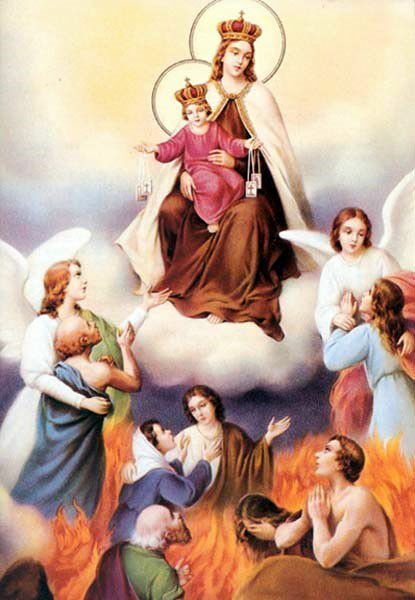 In the same way, the souls in Purgatory are deprived for a time of the vision of God, but consoled by St. Mary, St. Joseph, their guardian angel, and others. Contemplatives may have a dozen devotions, but a few are sufficient for those leading an active life. Most of us, leading very busy lives, do not have the same amount of time for prayer and contemplation which is available to religious. However, many people are drawn by either love of God or the delight they find during prayer to continue adding devotions, the multitude of which will eventually cause them discouragement and loss of discipline in prayer once they hit a point of spiritual dryness. Saying the rosary, often saying brief prayers to Our Lord throughout the day, praying short prayers to the saints mentioned above, and reading a few chapters of the Bible everyday should be sufficient for most. Of course, if you’re not married and you find delight in prayer and little delight elsewhere, the religious life’s probably for you. 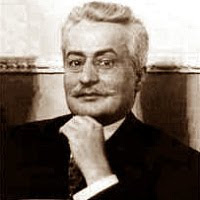 Guiseppe Moscati. Doctor, University Professor, and Saint. Prefer sorrow to joy in meditation. As human beings, we often fall into sin. Jesus had to pay for all of these sins in His Passion, so it behooves us out of gratitude to often meditate on His sufferings. By considering the pain which our sins cause Him, we are less inclined to repeat them. 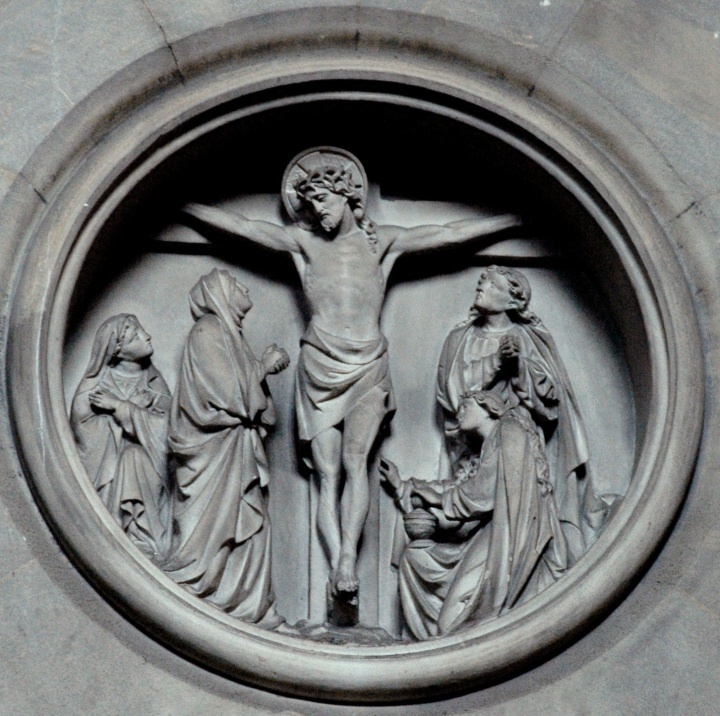 Also, Jesus looks with great mercy on all who meditate on His Passion with feeling and pours forth many graces on them. It is a good thing to meditate on our goal, Heaven, but not as much as the Passion. Fill the morning hours with prayer. One mistake people make is that they reserve most of their prayers for the end of the day. It is much more profitable to perform our devotions in the morning so that our minds are focused on serving God from the very beginning. Of course, some people’s schedules do not admit that, but say at least an Our Father and a Hail Mary before preparing yourself for work. Invoke God constantly throughout the day. Do not neglect spiritual reading. You are what you eat, and reading offers food for thought. Only reading worldly books causes the soul to become worldly. But reading spiritual books keeps us mindful of what is of true value. The Bible ranks highest on the list of books to read followed by The Imitation of Christ, The Rule of St. Benedict, and various other works. Do not vow to say prayers. If one vows to do anything for God, He will expect us to fulfill it. While a priest or religious vows to recite the Divine Office, I don’t think that a layman–since the business of the day may prevent him from praying or meditating to the extent which he would like–ought to vow anything, lest one sin through negligence. Well, I hope that these maxims provide a little guidance for everyone. Of course, the Philokalia in particular and several other devotional books, like St. Francis de Sales’ The Introduction to the Devout Life, have more thorough advice and proverbs for you to follow. Feel free to pick and choose from the advice I give. For example, however much I should wish it, Protestants are not going to pray to saints. (Though, might I encourage you to speak to your guardian angel sometimes? God did provide them with the mission of watching over us, and they deserve some acknowledgement!) Also, I might just plain be in error on some points, so listen to the advice of someone older and wiser if possible. Devout persons, people who barely practice religion, those in a state of doubt, and those who would like to believe form my target audience. For those who are happily atheists, agnostics, and apathiests, please do read the first article then consider whether you arrived at your respective conclusions rightly. If yes, read no further. If no, read on. And comments about how I could improve my arguments will be greatly appreciated. But, the main thrust of them will be that people are saved sola gratia, “by grace alone,” and that “Prayer is the key which opens the Heart of God” (Padre Pio). I hope that you enjoy these articles! Both a passage from the Revelations of St. Gertrude and the fact that today is the Feast of St. Matthias (the Apostle who was chosen after Pentecost to take the position which had been held by Judas Iscariot) combined to give me the idea of this post. While conversing with St. Gertrude, Jesus Christ told her (oh, if that sounded rather unexpected, be sure to read my little review of the work) that it had come to his attention that she had no apostle. 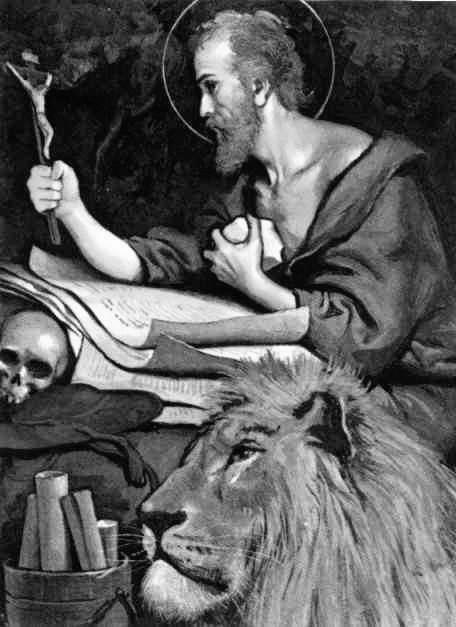 Thereupon, he presented St. John the Evangelist as her patron, and we are treated to a wide variety of revelations about how his purity and love of God and neighbor earned him many special joys in heaven. Which reminds me of another passage where St. Gertrude asked Jesus what he was thinking about. He responded by saying that he was thinking of how to reward St. Gertrude’s every good deed, good word, and good thought a hundred times over in heaven. To think that in exchange for seventy years of toil, we gain an eternity of rest where we shall be rewarded infinitely above our deserts! To return to the topic, reading this passage inspired me to have a devotion to St. Bartholomew. (Thoughts about the greatness of the saints’ charity have inspired another digression. Think of how great the difference must be between even the least saint in heaven and those of us still struggling down here. How eager they are to listen to us and help us despite our wretchedness! Imagine a shabby beggar approaching a richly dressed duke and asking the duke to petition the king for him. Not only does the duke not turn the beggar away, but even directly makes his way to the king. Further, he brings the beggar’s petition before the king and even asks the king to consider it as a request directly from him.) 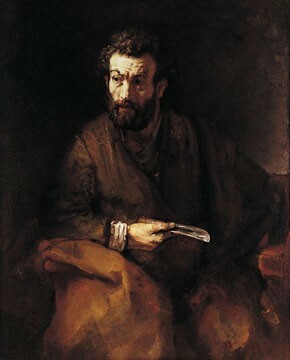 I had long been attracted by those character traits of St. Bartholomew visible in the short passage where he features in the Gospel of John (John 1:43-50): his cheerfulness, simplicity, honesty, and wholeheartedness. 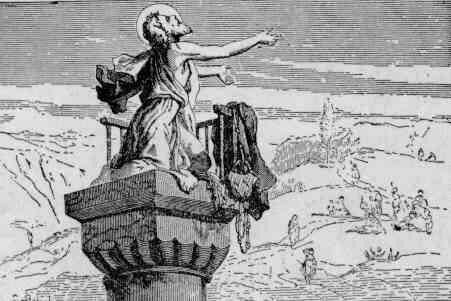 Also, one seems drawn into the joy with which Our Lord greets him: “Behold, a true Israelite, in whom there is no guile.” Then, the life of St. Bartholomew in the Aurea Legenda in which he converts an Indian kingdom from paganism by forcing the demon in the main idol to destroy this idol and all the other idols in the temple, and then having an angel present the demon in chains to the converted king is rather awesome. Unfortunately, the king’s brother took offense at this, and–depite St. Bartholomew also defeating his idol–has St. Bartholomew flayed alive. The chronicler also mentions that some people say he was flayed alive in Armenia, which is the most accepted version. Needless to say, the king and his priests meet a bad end. 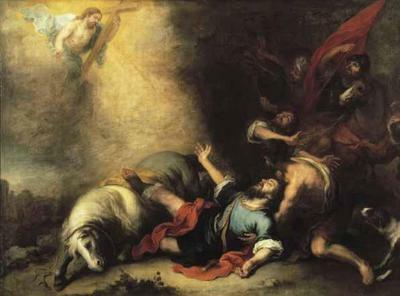 So, my question to you, dear readers, is whether you have a favorite apostle? The reason may be because you value his intercession and/or are attracted to his character. Did you decide on this only through scriptural accounts or did you look at other material? St. Paul is a valid option too, by the way. With only an hour left till midnight, this message is coming a little late. 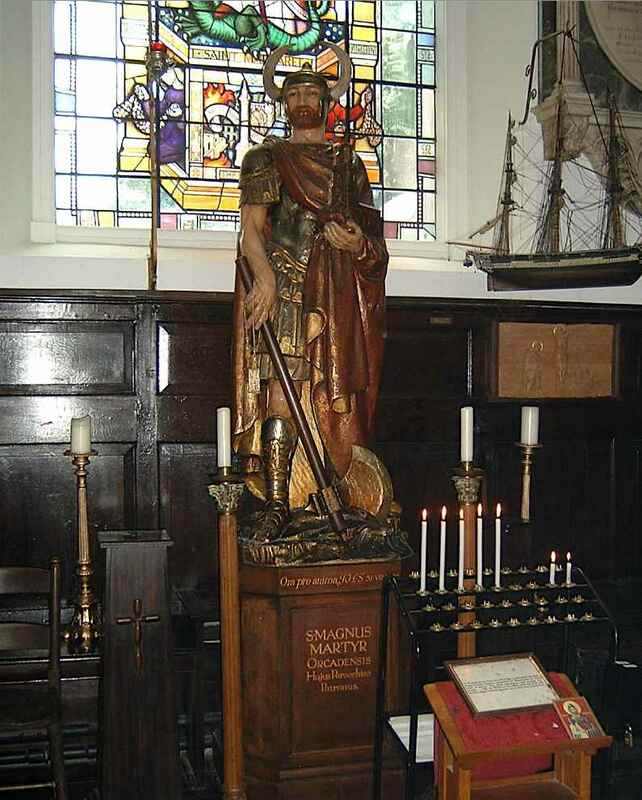 But, it would be a shame to allow St. Magnus’s, my dear friend’s, feast day to pass by without remarking on it at all. You can read my fictionalized account of his martyrdom in the Articles and Short Stories section. 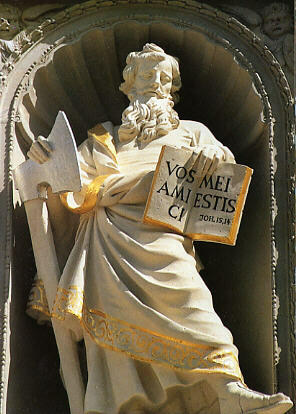 His natalis was on April 16th circa 1115. I celebrated his feast day by attending Mass and reciting Second Vespers in his honor–if I was less negligent, it would have been the entire cycle of hours. It is always a good thing to celebrate the heroes of the Faith.